SLI Beauty works with many packaging suppliers that offer low minimum order quantities. This reduces waste product packaging. There is a much higher risk of packaging becoming obsolete when ordered in large quantities. 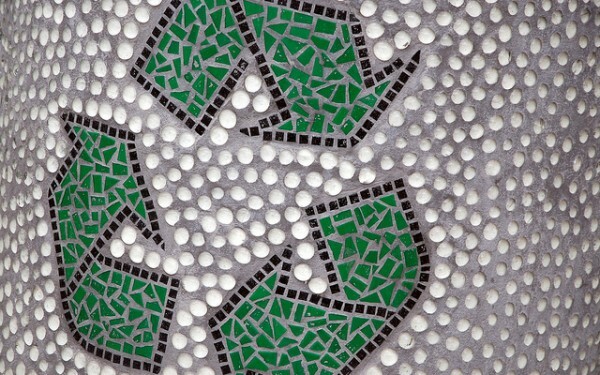 One of the key concepts, was born at McKernan Packaging who in their words, focuses on “precycling” packaging material. What that means is that they acquire over-run packaging from the big manufacturing companies and instead of recycling them, they sell them to smaller operations to use at least once before going to reprocessed at a recycling facility. Recycling consumes energy and produces waste and toxins. As a result, there is a smaller carbon footprint and less environmental impact when you use precycled packaging in your private label hair products. When new packaging is a must, we help our clients source the best grade of plastic with regard to recycling. The lower the number in the triangle on the bottom of the container, the better. Please see http://salonlabel.com/sustainability.html for more information. SLI Beauty reuses boxes, packing paper for your orders instead of purchasing new packing material for shipments. This reduces the amount of new material being consumed per order. It happens in production all the time. The colour or fragrance is not quite right in a batch of product, so what do we do with it? Family and friends love getting product (but I suppose they are biased, but they can only use so much lavender-patchoulli Salt Spray or Daily Lather Shampoo. We share not-quite-perfect and overrun products with local homeless shelters and safe houses for battered and recovering women. We support hairdressers and stylists that offer their time and talent to help people in these situations look their best. A great wash, colour and cut can go a long way to restoring a sense of personal pride and confidence. We can play a tiny role in helping people regain the confidence they need to make big changes in their lives. Let’s all shout out a big “THANK YOU!” to all the talented counsellors and volunteers on the front lines. This entry was posted in Private Label Hair Products, SLI Beauty, Sustainability and tagged private label hair products. Bookmark the permalink.